I actually talked about this in my study plan: my lack of knowledge about AODA’s effects on non-digital design. 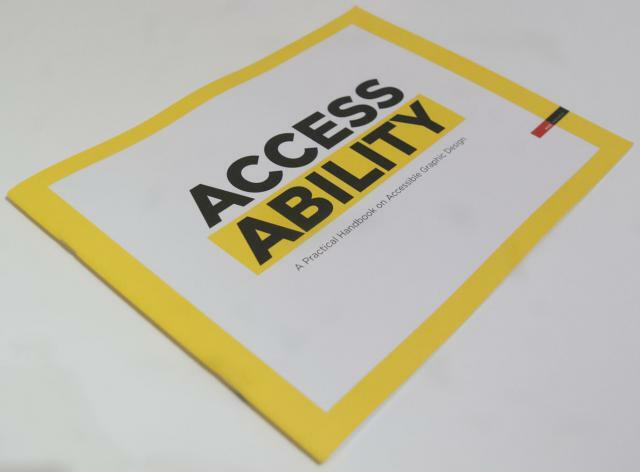 So I was pleasantly surprised when I was checking out the stuff that I got from RGD Ontario’s booth and found Access Ability : A Practical Handbook on Accessible Graphic Design . Obviously, three weeks ago I already found Inclusive Design : A Universal Need in the OCAD library. However, the primary focus of that book was interior design and architecture, fields that I wouldn’t be qualified to even touch.